These are plans offered by Insurance companies that coordinate with Medicare to cover cost not fully covered by Medicare A & B. ​This is a supplemental coverage purchased by Medicare beneficiaries to fill the holes in Original Medicare. 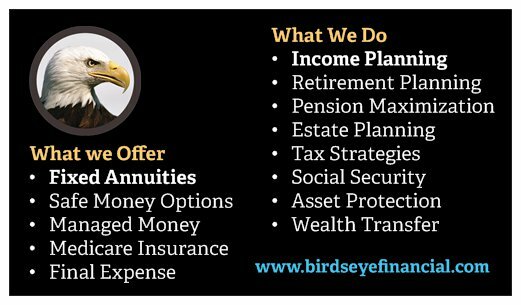 The 14 different plans – lettered A through N – offer different combinations of money-saving benefits. 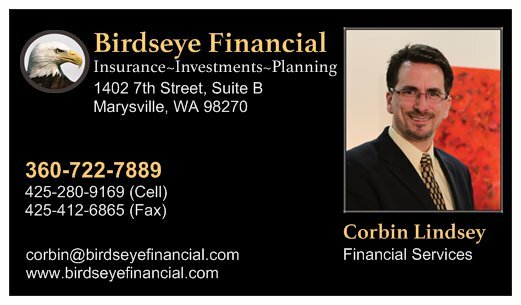 What Plans Available in Washington State? 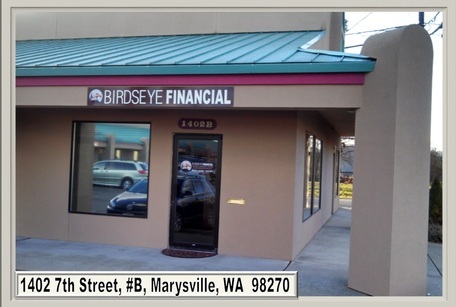 If you would like to enroll, please contact us at 360-722-7889 for an electronic application to be started for you. All of these plans require us to start the application for you except Premera and Regence. Due to cost and service, we would not recommend all plans on the market. Medicare allows private insurance companies to offer supplemental health insurance known as "Medigap" or "Med Supp" plans. 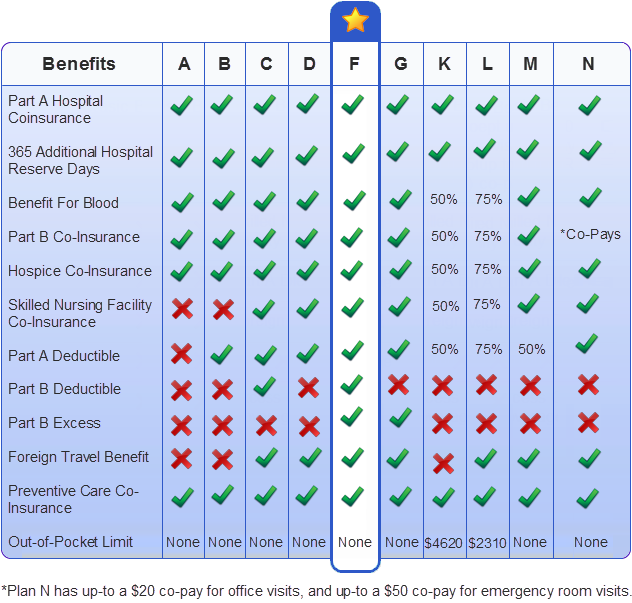 There are 12 types of standardized Medigap plans (named with letters A through N) and each plan has different benefits. 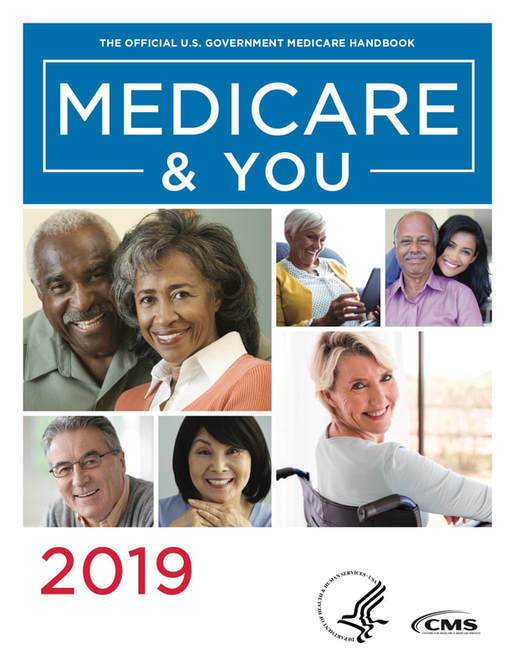 For people who have Original Medicare, Medigap plans help "fill the gaps" in A and B coverage by paying some of the coinsurance, copayments, and/or deductibles for services Medicare considers medically necessary, as well as other services not covered by Medicare. You can enroll in a Medigap plan if you have Medicare Parts A and B. Enrolling in Part B triggers a 6-month Medigap open enrollment period when you cannot be denied coverage because of a pre-existing condition. Keep in mind, Medigap plans do not include prescription drug coverage. If you want drug coverage, you'll need to also enroll in a stand-alone Medicare Part D prescription drug plan. Medicare, which includes Medicare Parts A and B, provides basic, no-frills health coverage, and it leaves some gaps. 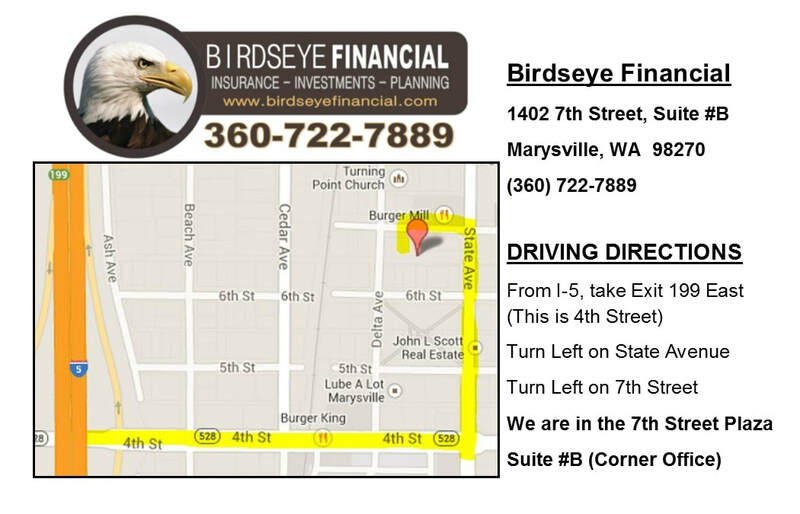 That's where Medicare supplemental insurance (Medigap) comes in. To determine if Medicare supplemental insurance is right for you, consider these 7 facts. 1. A Medigap plan supplements Original Medicare, and is not an option if you have a Medicare Advantage plan. These plans are sold by private companies, and generally cover health care copayments, coinsurance, and deductibles that are not covered by Original Medicare. Some plans also provide coverage for emergency travel insurance outside the United States. Plans sold after Jan. 1, 2006, aren't allowed to include prescription drug coverage, and most plans don’t cover long-term care, vision or dental care, hearing aids, eyeglasses, or private-duty nursing. 2. It's best to buy a Medigap plan when you first become eligible — during your Medigap open enrollment period (OEP). For Kaiser Foundation Health Plan of Washington Options, Inc. Medicare Supplement Plans, this OEP begins the first day of the month in which you are age 65 or older and enrolled in Medicare Part B. It lasts for 6 months. 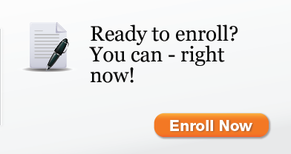 For example, if your birthday is on June 5, the best time to enroll in Medigap is June 1 through Nov. 30. During this one-time grace period, you cannot be turned down for a Medigap plan because of a pre-existing health condition, and you can't be charged more than someone who doesn't have a pre-existing condition. After that window of opportunity closes, there's no guarantee that you'll qualify for a plan if you have health issues, and you may be charged more for a plan than if you'd purchased it during your Medigap OEP. Notice that your Medigap OEP is different from your Initial Coverage Enrollment Period (ICEP) for Medicare, which extends from three months before the month of your 65th birthday to three months after the month of your 65th birthday. 3. You must have — and maintain — Original Medicare coverage (Medicare Parts A and B) to qualify for a Medigap plan. Medicare supplemental insurance is not an option if you have a Medicare Advantage plan. However, if you decide to switch from a Medicare Advantage plan to Original Medicare and Medigap, you can apply for your new coverage while you’re still enrolled in Medicare Advantage. 5. You can choose from Medigap Plans A, B, C, D, F, G, K, L, M, and N. (Notice that Medigap options are called "plans," while Medicare options — A, B, C, and D — are called "parts.") 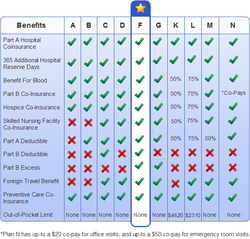 Plan A offers the most basic coverage, while Plan F is the most comprehensive. Medigap plans E, H, I, and J are no longer available to new subscribers. In most states, the benefits for each level of plan are standardized by the Centers for Medicare & Medicaid Services (CMS), so you'll get the same benefits, no matter who you purchase your plan from. What differs from company to company are costs, so check those carefully. While Medigap plans are standardized at the federal level, they are regulated at the state level, and not every plan is available in all states. In addition, Massachusetts, Minnesota, and Wisconsin have nonstandardized plans. 6. A Medigap plan covers only one person. If both you and your spouse want Medicare supplemental insurance, you'll each need to buy a policy. 7. Your Medigap plan can’t be canceled by your insurer—even if you develop health problems—as long as you pay your premium. But if you decide to drop your Medigap policy for any reason, you might not be able to get it back, or you may have to pay penalties. Before canceling your plan, be sure you fully understand the Medigap laws in your state. ​Employers may offer group coverage for their retired employees who have Medicare. Depending on the plan, the benefits can be a combination of an active employee plan and Medicare Advantage plan or a Medicare Supplement (Medigap) plan and may offer more comprehensive benefits than Original Medicare. Plan structures vary widely and once a beneficiary leaves the plan, they may not be able to re-enroll. If you think you're eligible for retiree health benefits, contact your employer or retiree benefits administrator for further information.